NOT THAT KIND OF DADDY!!! This week we have a brand spanking new sponsor! Also, we dig deep into our inbox and answer one of your questions. Is dating someone with a kid a deal breaker? Find out on this week's episode! We used to date each other, we kinda hate each other, and now we have a podcast! 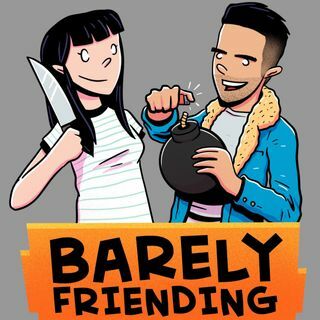 The Barely Friending Podcast is hosted by Eddie Della Siepe and MJ Riggins. Follow them on Twitter, Instagram, and Snapchat! Podcast artwork done by the amazing artist Jorge Tirado. Check back every Monday for new episodes! Thanks for listening!!! Please be sure to rate and review on iTunes!